Live stream this event here. The twentieth century was defined by the clash between democracy and fascism, a struggle that created uncertainty about the survival of human freedom and left millions dead. 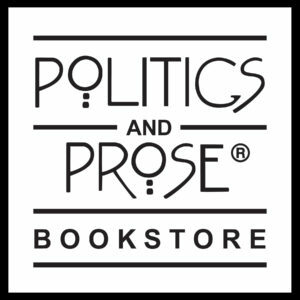 The first woman to serve as U.S. Secretary of State (1997 to 2001) draws on her experiences as a child in war-torn Europe and her career as a diplomat to examine fascism in the twentieth century and how its legacy shapes today’s world in Fascism: A Warning. 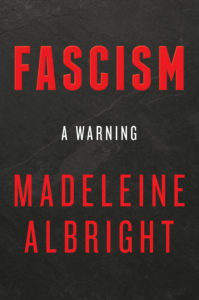 Fascism, as Albright shows, not only endured through the twentieth century but now presents a more virulent threat to peace and justice than at any time since the end of World War II. The momentum toward democracy that swept the world when the Berlin Wall fell has gone into reverse. In many countries, economic, technological, and cultural factors are weakening the political center and empowering the extremes of the right and left. Contemporary leaders such as Vladimir Putin and Kim Jong-un are employing many of the tactics used by fascists in the 1920s and 1930s. Fascism is a call to arms that teaches the lessons we must understand and the questions we must answer to avoid repeating the tragic errors of the past. Albright is the author of the New York Times bestsellers Madam Secretary, The Mighty and the Almighty, Memo to the President, and Read My Pins. In conversation with Jeffrey Goldberg, the editor in chief of The Atlantic.